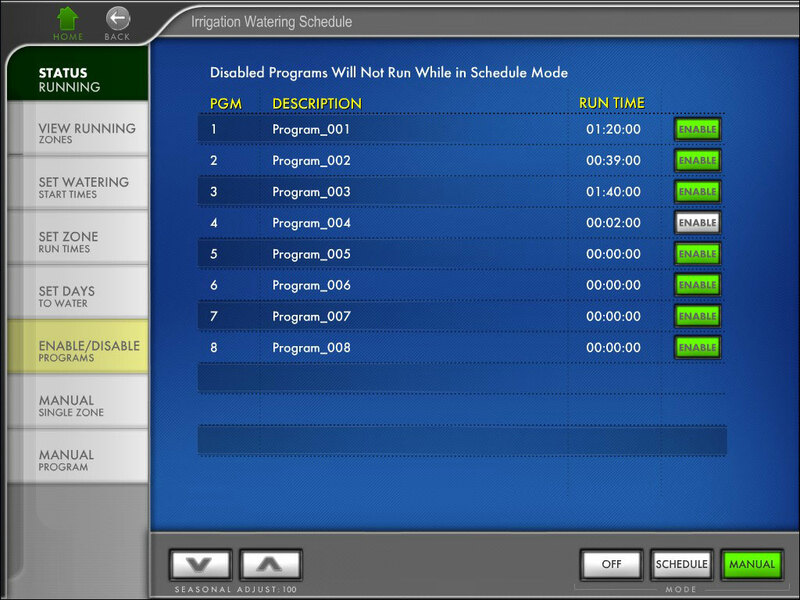 Monitor and control your irrigation system while at home or away. From a single screen in MainLobby, you can see what program is running and which zone. 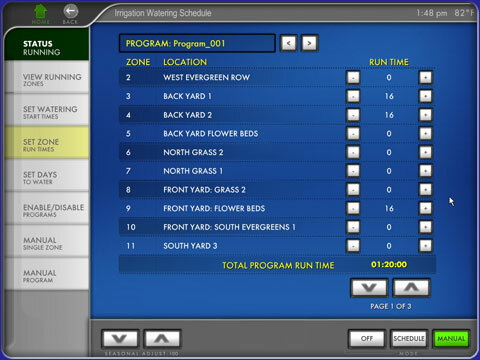 How much time is left and at what time the program will end. Just touch a Zone# or Alias and that zone turns on/off. 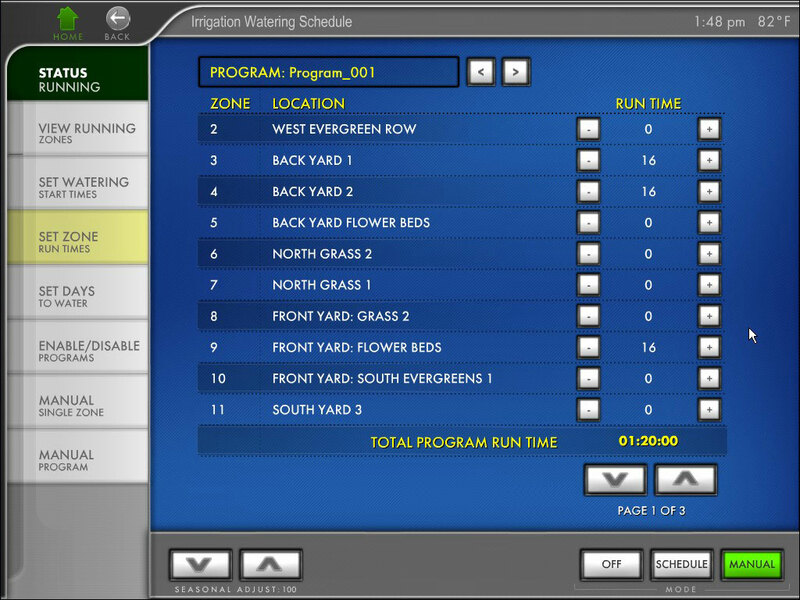 Want to run a zone for 15 minutes without setting up a program or schedule? No problem, we've got you covered. The MLIrrigation Family Plugin Manager Version 3.75 adds the ability for users to customize programs and schedules all from the end user interface without accessing MLServer. All new scenes have been provided to get you up and running. Or customize the scenes to meet your specific needs. When you purchase the MLIrrigation Family Plugin, it also includes the Rain8Net and Generic Driver. 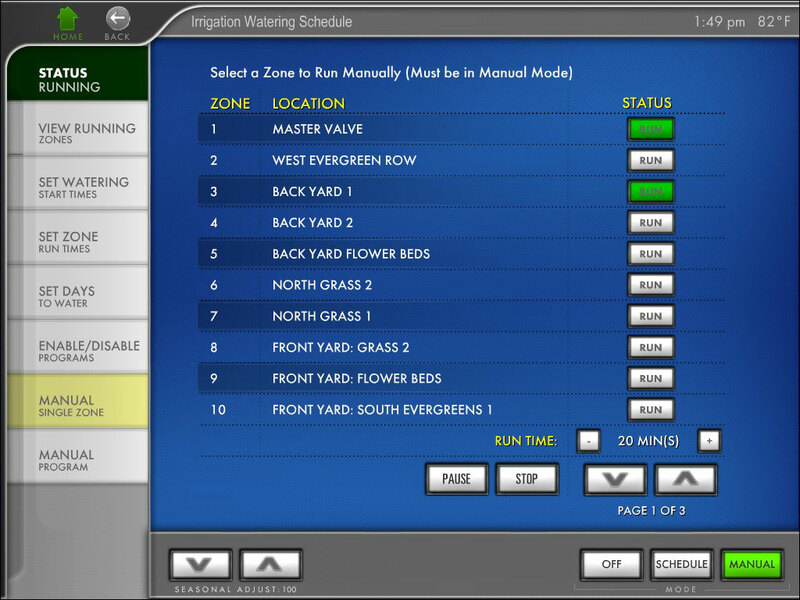 The Generic driver can be used to control external systems like the ELK where relays are used to control sprinklers.